The International Writing Program wrapped up just over a week ago, so I'm on my own again, in the sense of not being surrounded by writers from 30-plus other countries. It's a bit strange to slip so easily back into my own life and my own friends, but now there are also WhatsApp chat groups that light up my phone screen at odd hours of the day, sending photos of living rooms and cats and faraway city streets. I'll reciprocate with Singapore scenes when I get back. For now I'm loitering in New York to visit with friends, overdose on museums and soak up the chilly weather. Iowa City was great, don't get me wrong, and a lovely place to spend a couple of months – but I'm a city girl at heart, and it felt like coming home to be in a place where there's the constant chatter of many non-English languages on the streets and subway, and where lots of restaurants routinely stay open after 9 p.m. 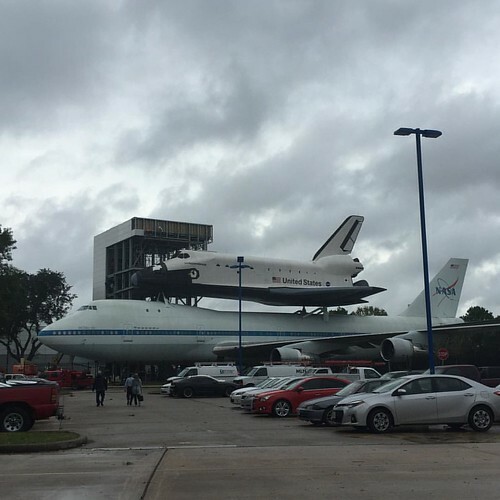 This week I made a side-trip down to Houston to visit the Space Center, because when else was I going to get myself there. On top of all the space geekery I expected (and let me tell you right now, if you're a space geek like me, the Level 9 Tour is totally worth springing for), I also had a rather unexpected encounter with what a friend has termed the "technological sublime": seeing the Faith 7 spacecraft, the last of the Mercury programme spacecraft to take a human being into space, and then the Apollo 17 command module, which was the last spacecraft to transport humans to the moon and back. This tops off the Apollo 11 command module I saw at the National Air and Space Museum a couple of weeks ago, and the Gemini 12 capsule at the Adler Planetarium in Chicago, way back in August. 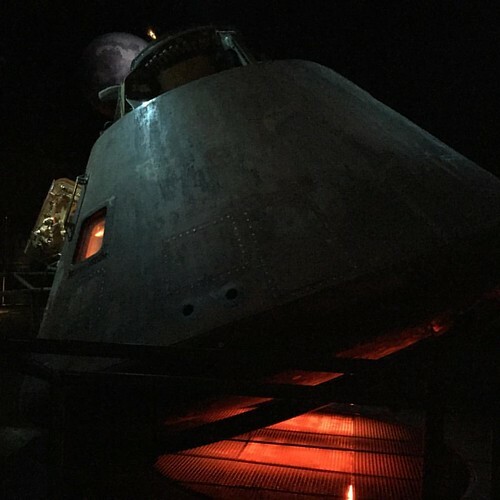 I didn't have a laundry list of NASA spacecraft that I wanted to see at the beginning of this trip, but things accidentally (perhaps, serendipitously) worked out that way. The same friend describes it as a "back to the future" encounter: each one of them a spacecraft, seemingly from the future, in terms of what it represents, but in fact an artefact of the past, something already consigned to the history books. Past and future at once in the present, not to mention the fact that its materials have been exposed to a literally alien and off-world environment, yet here it is with us today. The word "sacred" keeps inching into my mind, even though I don't like to use it. At the opposite end of the spectrum, I'm writing this blog post in Houston's William P. Hobby Airport, where my return flight to New York has been delayed for five hours and might be delayed further, depending on weather conditions in New York. I'm grateful for the device charging points and free wifi here – this is way better than being bounced around in turbulence or rerouted to some other regional airport – but never does an airport feel like more of a non-place (in Marc Augé's sense of the word) than when its passengers are in an indefinite, incalculable limbo.